The threats have intensified following an FCC vote to repeal net neutrality rules. A spokeswoman for the Consumer Technology Association, which puts on the annual Las Vegas-based trade show, also declined to comment. Earlier, though, CTA’s leader, Gary Shapiro, told the publication Digital Trends that he did not know why Pai had canceled — but raised the fact that he had recently been “subject to vicious and direct attacks and threats.”For months, Pai has been hounded by his critics, who view his vote to repeal net neutrality rules as tantamount to destroying the internet. The FCC chairman has lamented that he and his family have been mocked, attacked and threatened, in public as well as on Twitter, where Pai himself is active. Meanwhile, Pai has largely confined his interactions with media to conservative outlets, including The Daily Caller. He drew immense backlash, however, because the video that he filmed with the site included a woman who previously had promoted the “pizzagate” conspiracy theory.Nevertheless, the chairmanship of the FCC is an especially public role, and threats to its leaders and commissioners aren’t exactly new. In 2014, for example, protesters descended on the home of then-Chairman Tom Wheeler, a Democrat, and prevented him from leaving his driveway. Then, too, net neutrality had been the issue at hand. In the most recent debate, though, tensions have been especially high, driven in no small part by broader frustrations among the public with the Trump administration writ large. 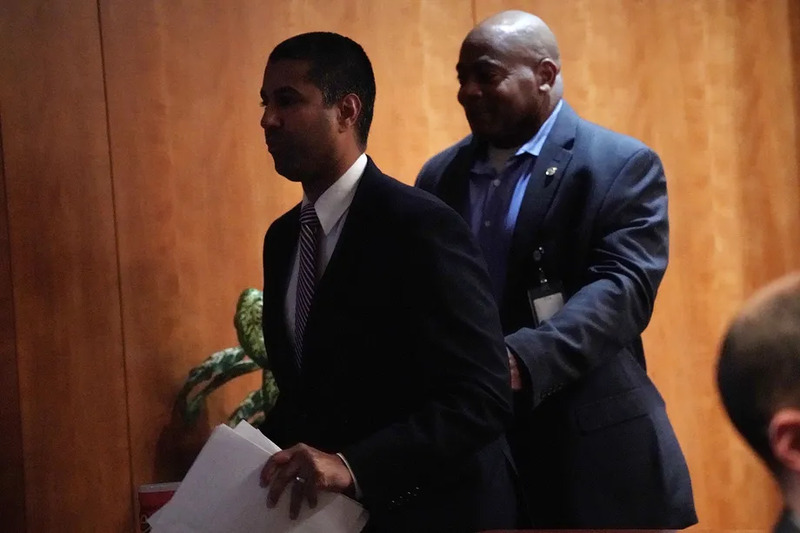 If the death threats continue, it is unclear how Pai and his fellow commissioners will proceed. For now, Democratic Commissioner Mignon Clyburn and Republican Commissioners Michael O’Rielly and Brendan Carr each plan to attend CES. So will Maureen Ohlhausen, the acting leader of their sister agency, the Federal Trade Commission. Ohlhausen had been slated to appear alongside Pai at the annual Vegas event.